The present participle of sack. (countable) A sacking is when somebody is fired from their job. 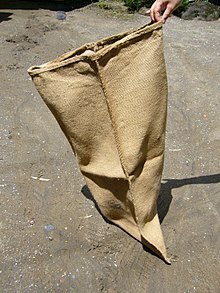 (uncountable) Sacking is the material for making sacks. This page was last edited on 15 July 2017, at 16:11.